Thyroid disorders are common, affecting one in 20 people in the UK, 80% of them women. This helpful book gives the latest information about tests and treatment. It considers how best to manage the symptoms of hyperthyroidism, such as weight loss, rapid heartbeat, tremor, sweating, heat intolerance, and anxiety; and of hypothyroidism, including weight gain, dry skin and hair and nails, constipation, and intolerance to cold. There is advice on how thyroid problems may affect fertility and pregnancy, as well as on diet and supplements, including how to lose weight with thyroid disease. Links with other conditions are also explored, such as allergies, depression, and heart disease. 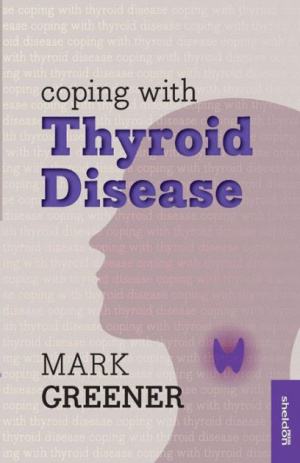 Coping with Thyroid Disease by Mark Greener was published by Sheldon Press in July 2014 and is our 65820th best seller. The ISBN for Coping with Thyroid Disease is 9781847092946. Be the first to review Coping with Thyroid Disease! Got a question? No problem! Just click here to ask us about Coping with Thyroid Disease.